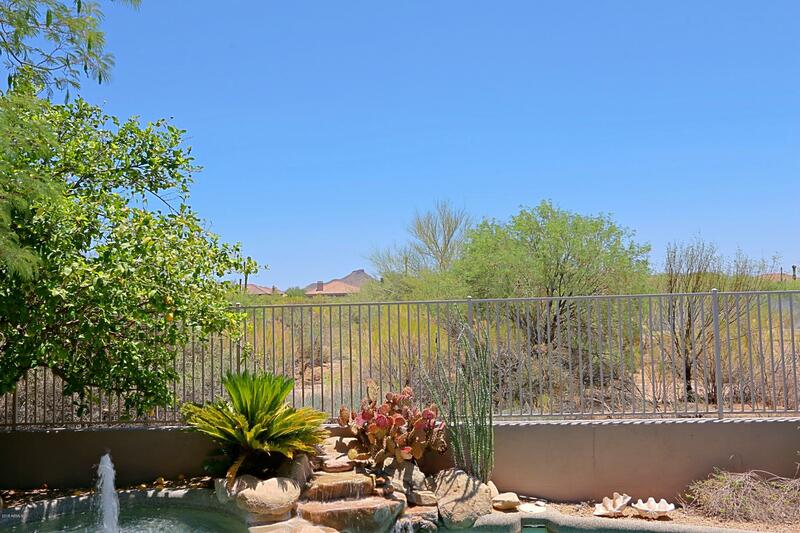 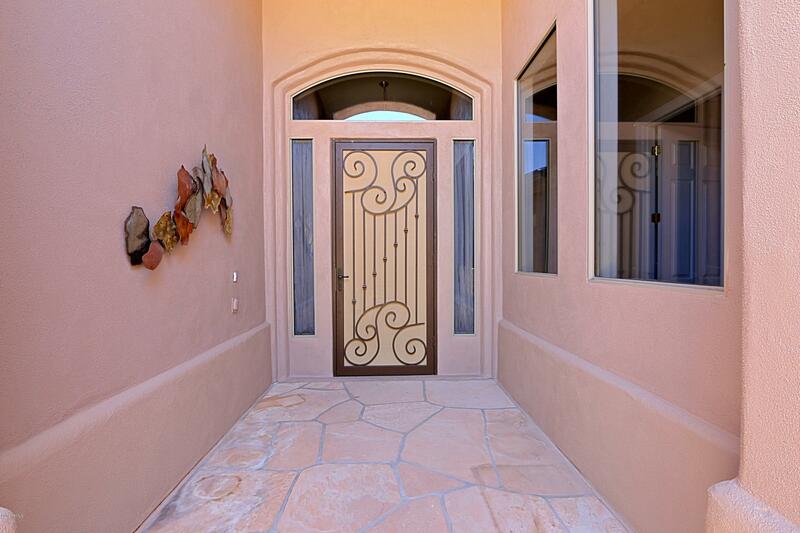 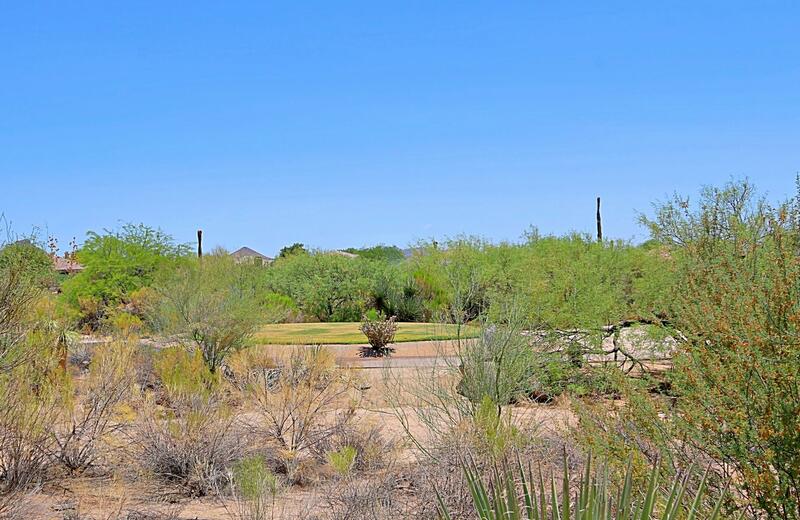 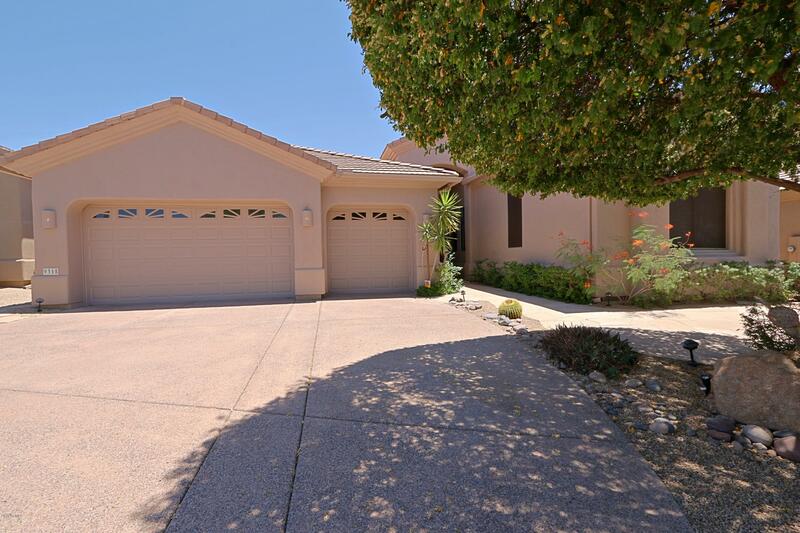 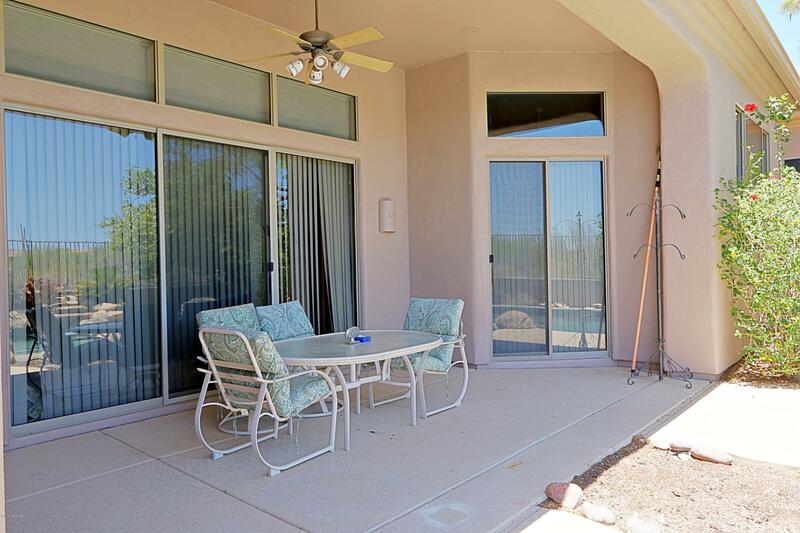 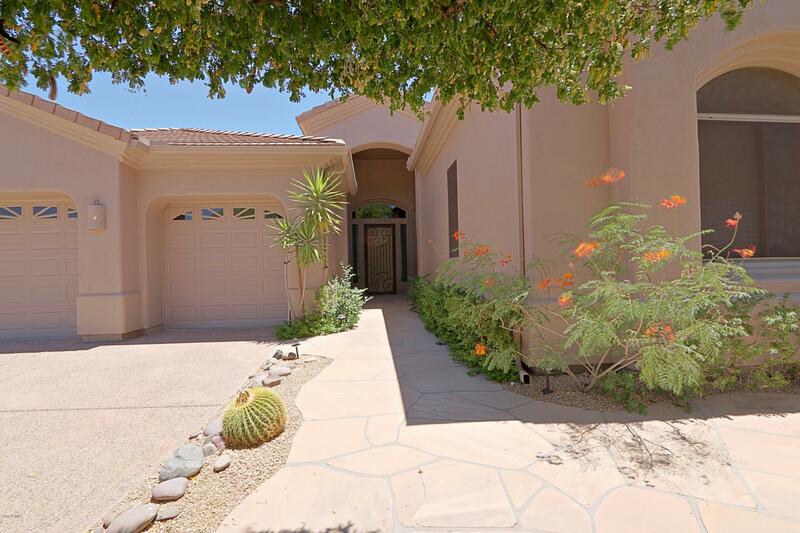 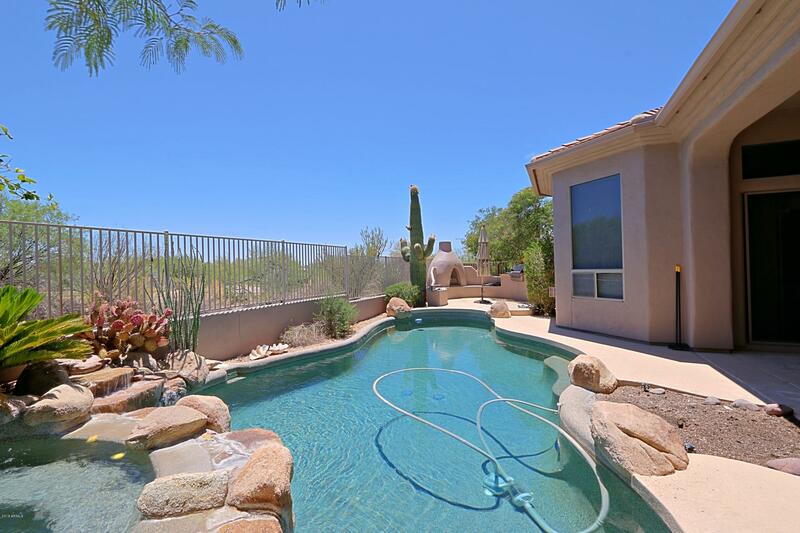 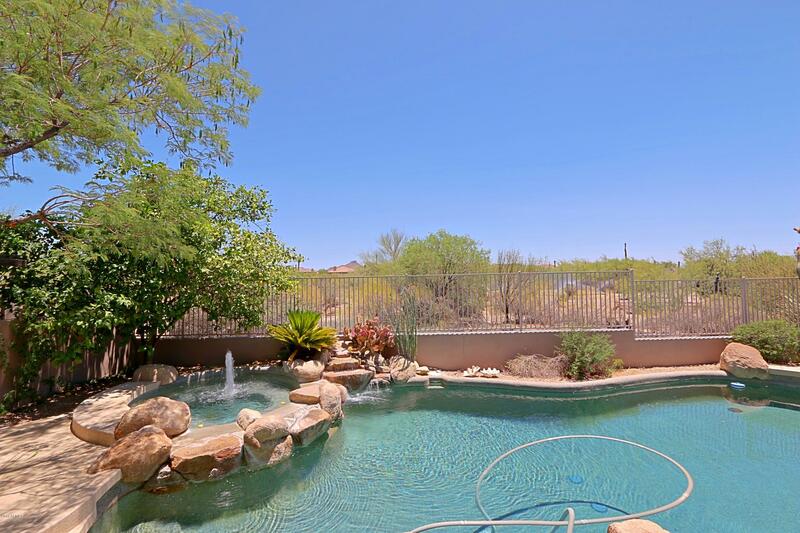 This is a fabulous Avron built home in the golf course community of Legend Trail on a south facing lot backing the golf course and beautiful desert. 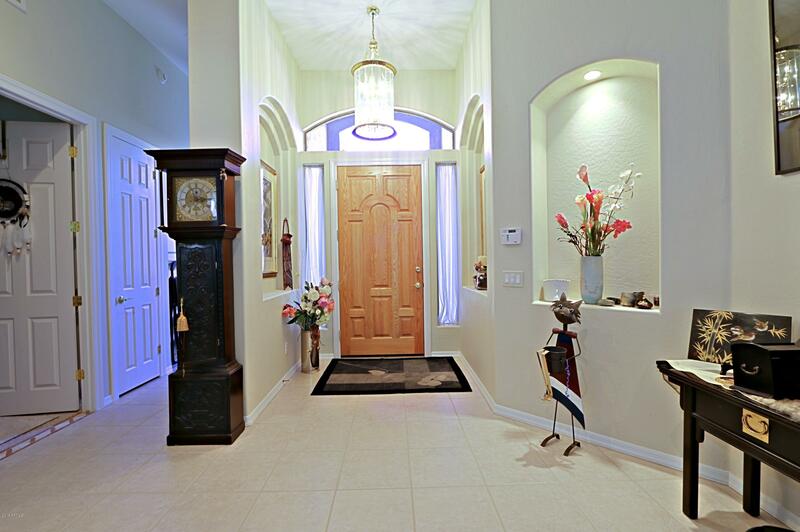 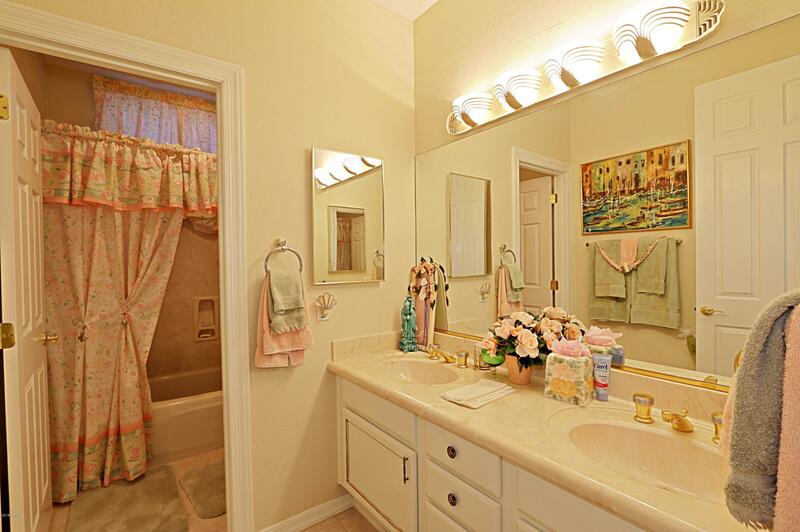 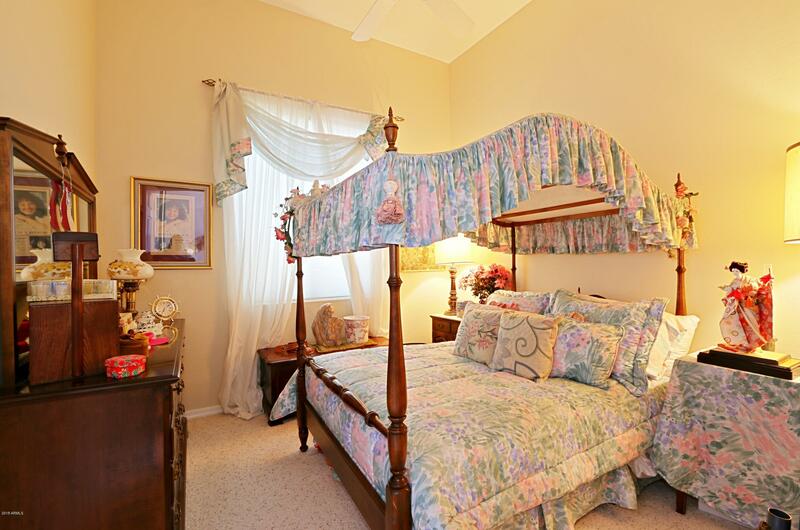 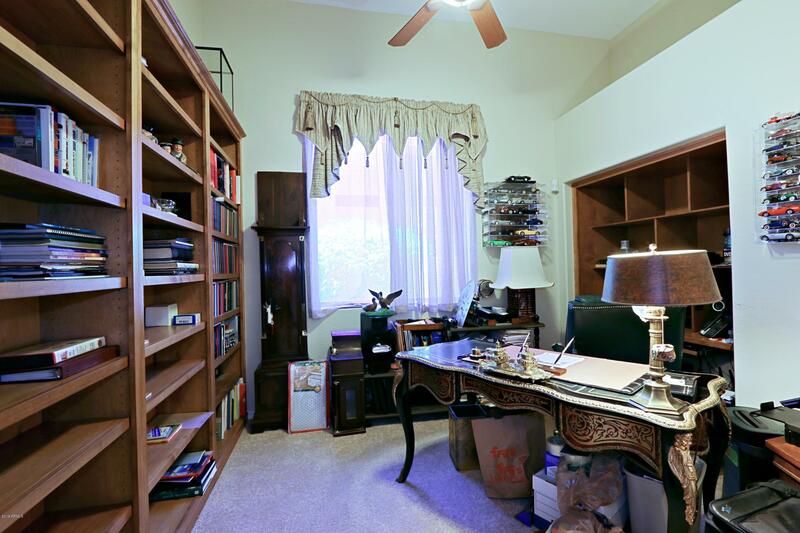 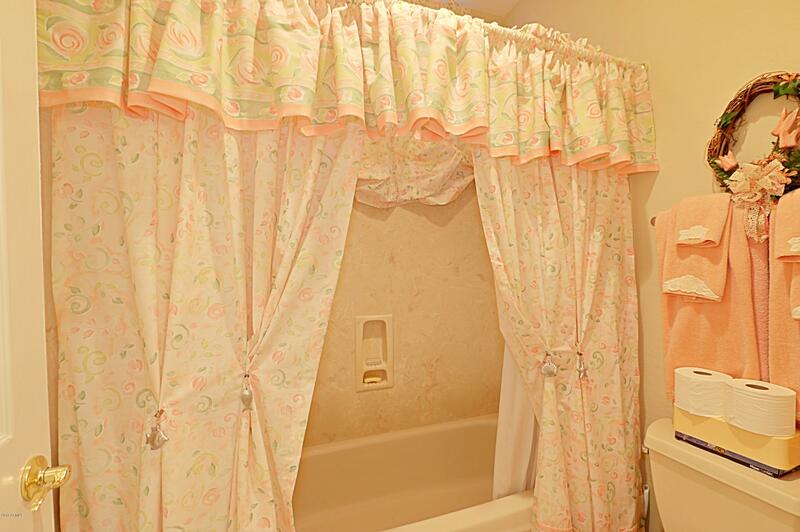 The home features 3 bedrooms plus an office/library with built in bookshelves and 2.5 baths. 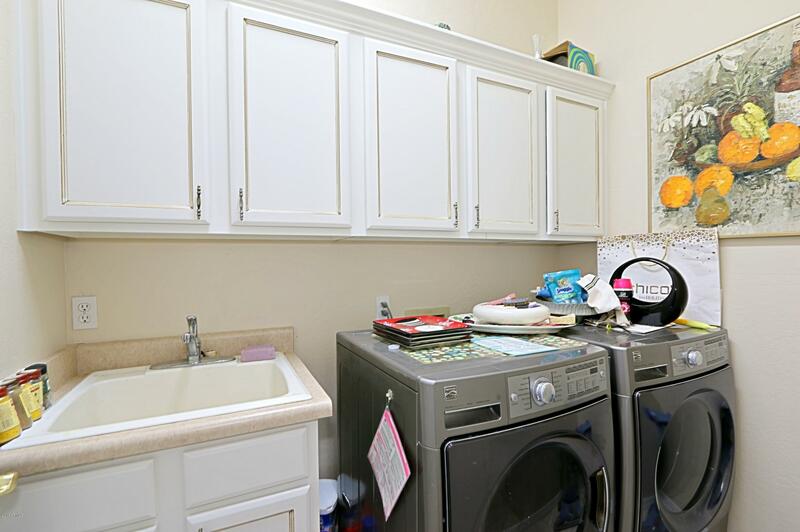 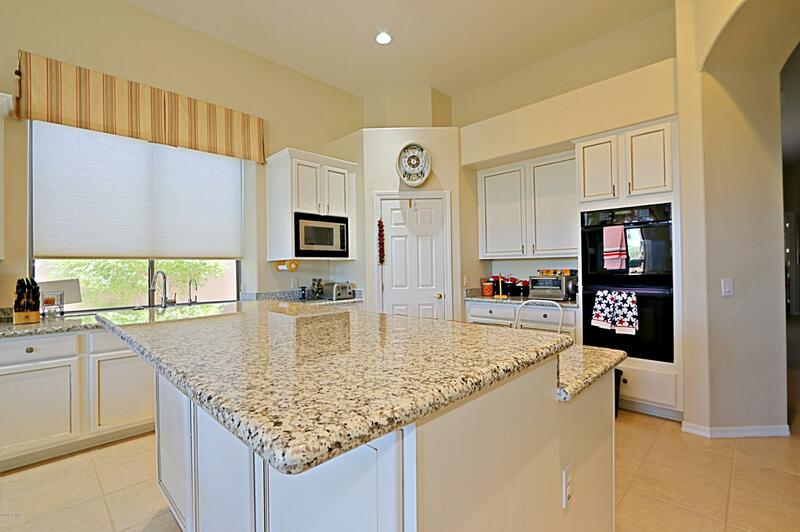 The kitchen, wet bar and baths have been updated with granite, new cabinets and new sinks recently and new carpet in the family room, dining/living room and master. 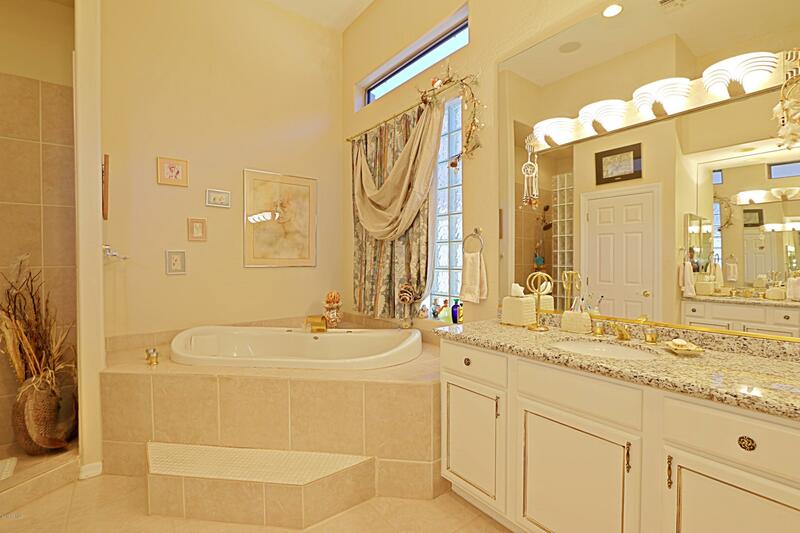 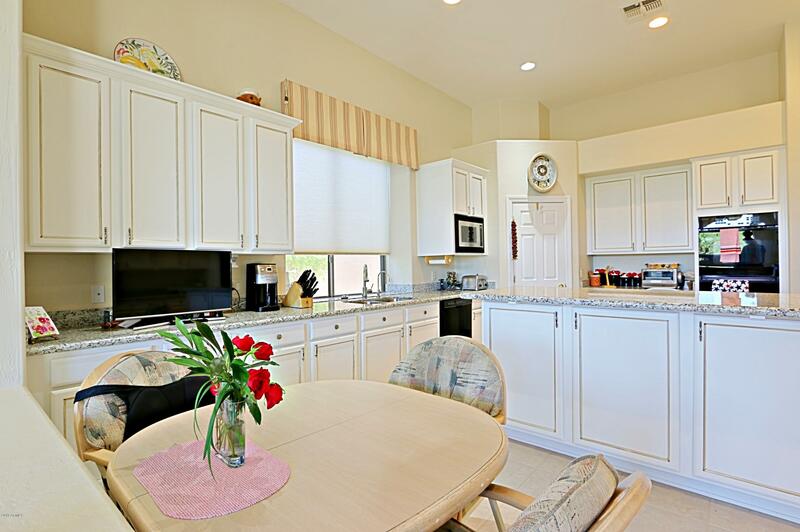 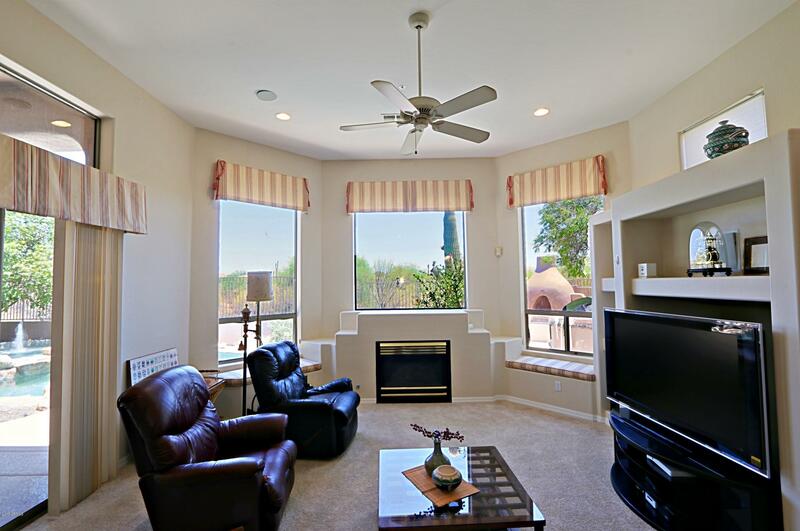 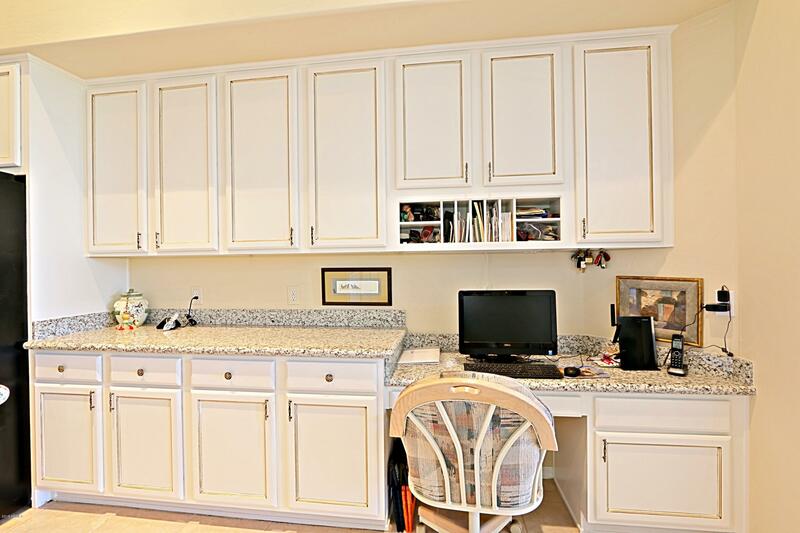 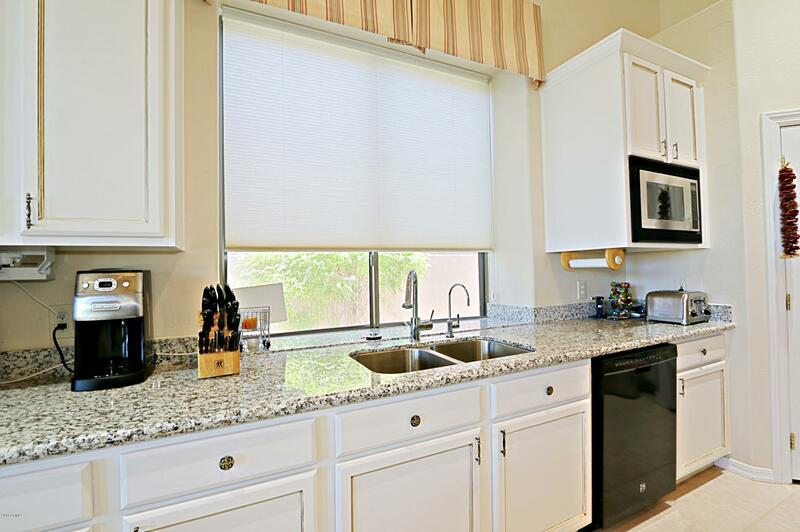 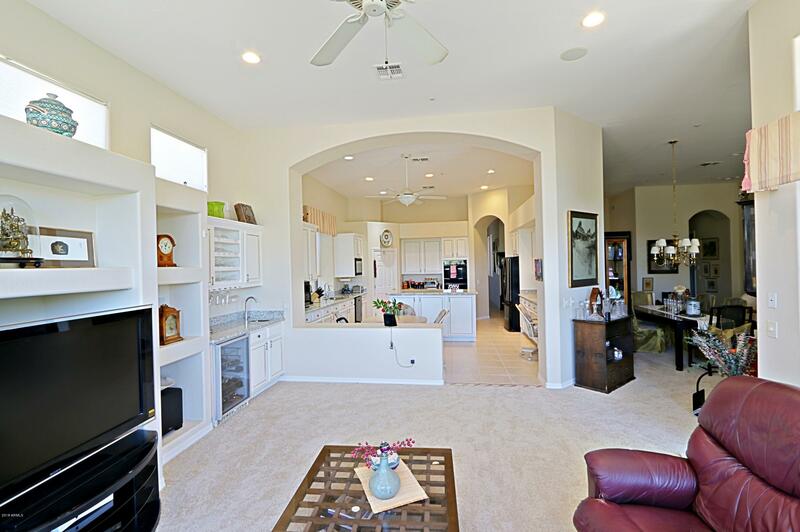 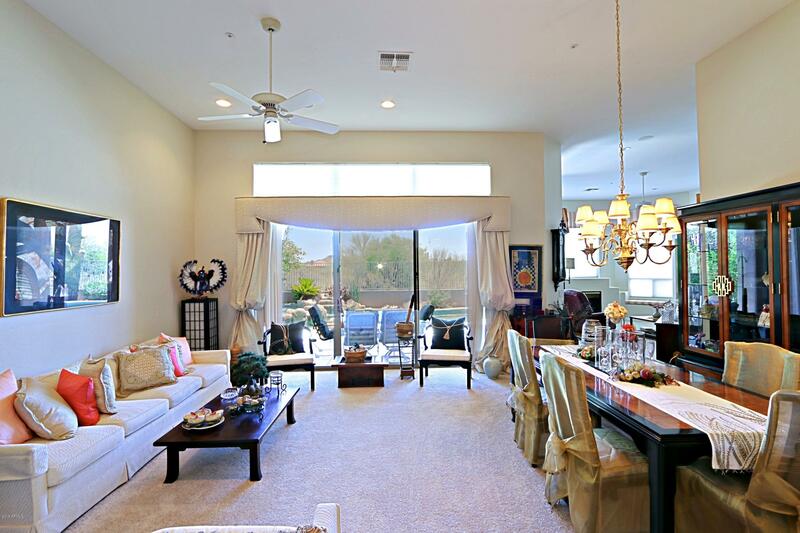 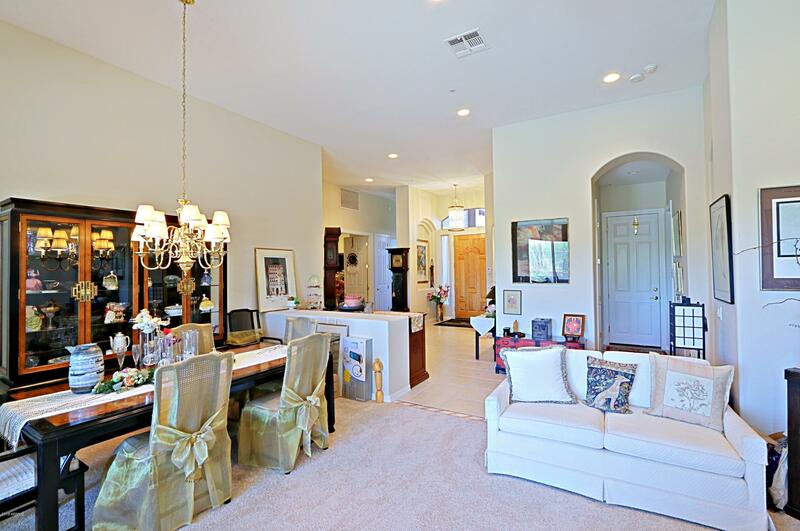 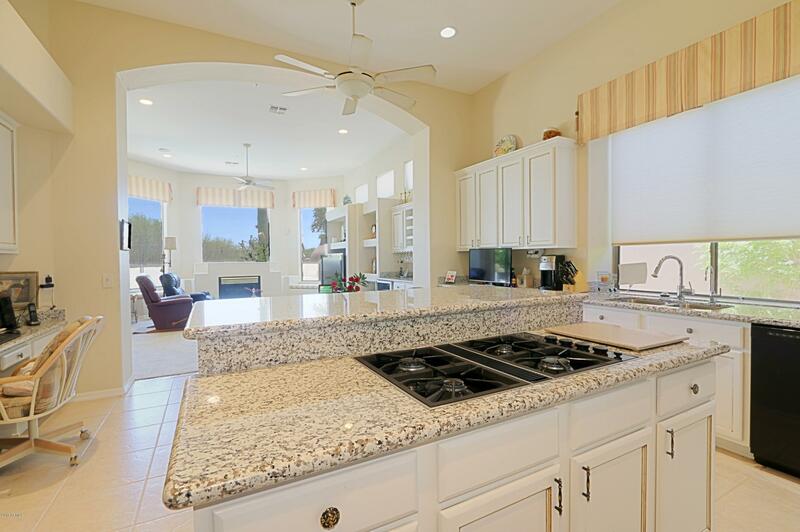 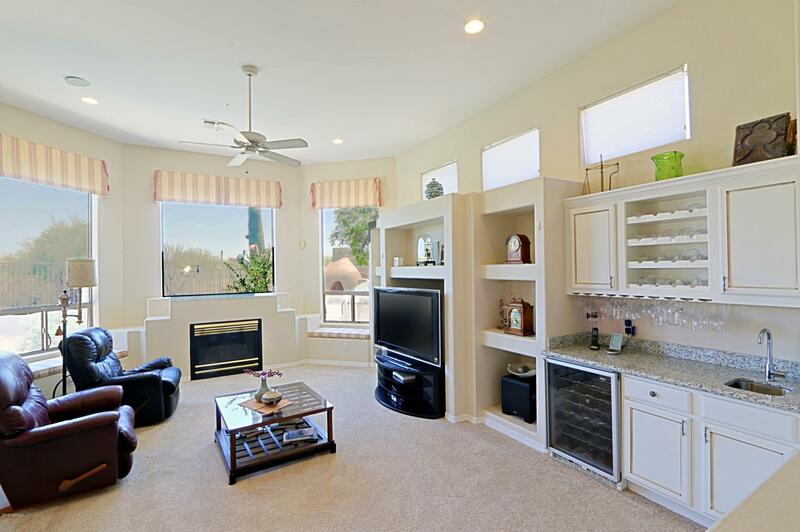 The gourmet kitchen is open to the family room w/fireplace and wet bar area. 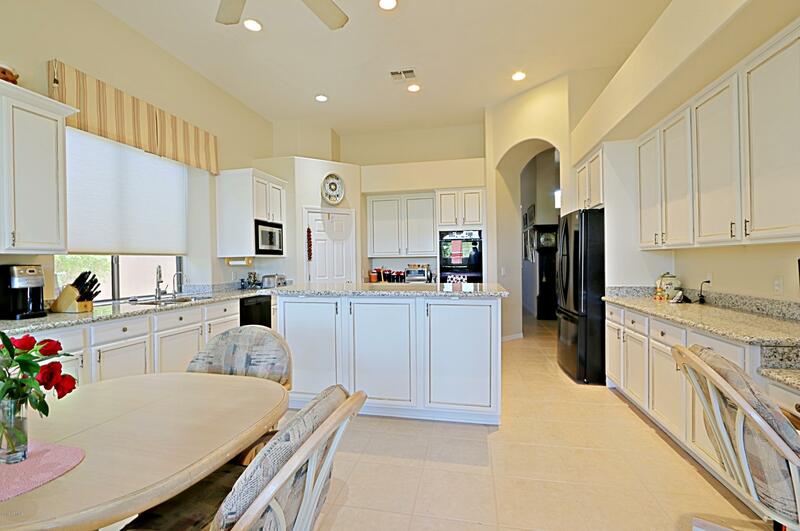 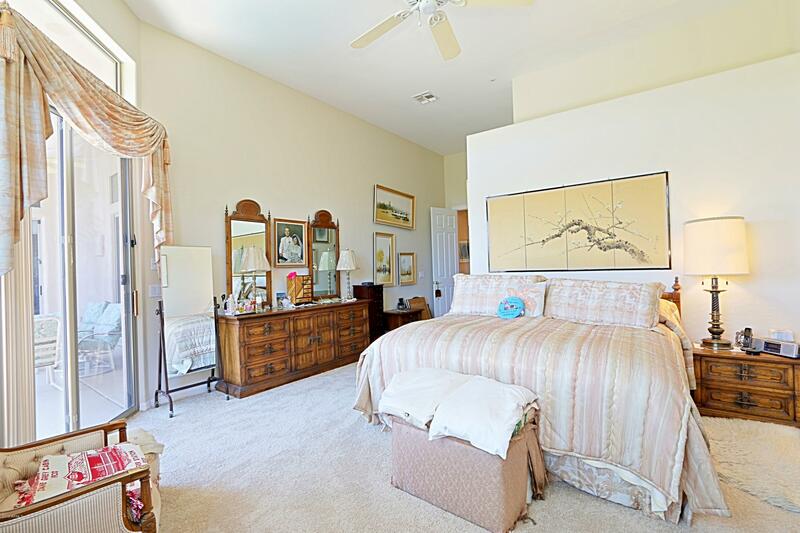 Formal living/dining area and the master is split from the other 2 bedrooms and office. 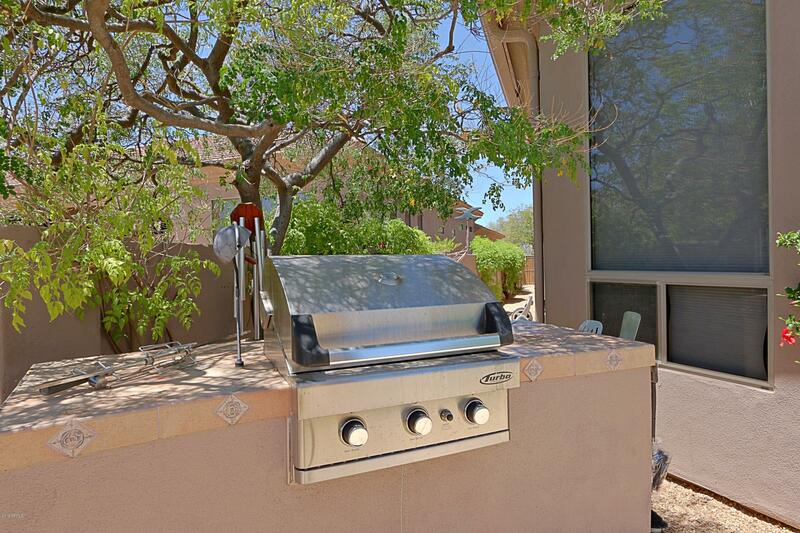 The master also features a fireplace. 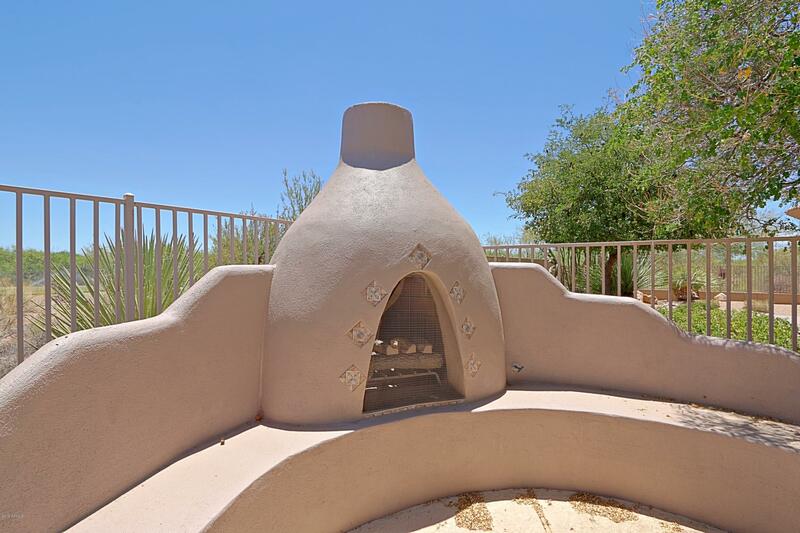 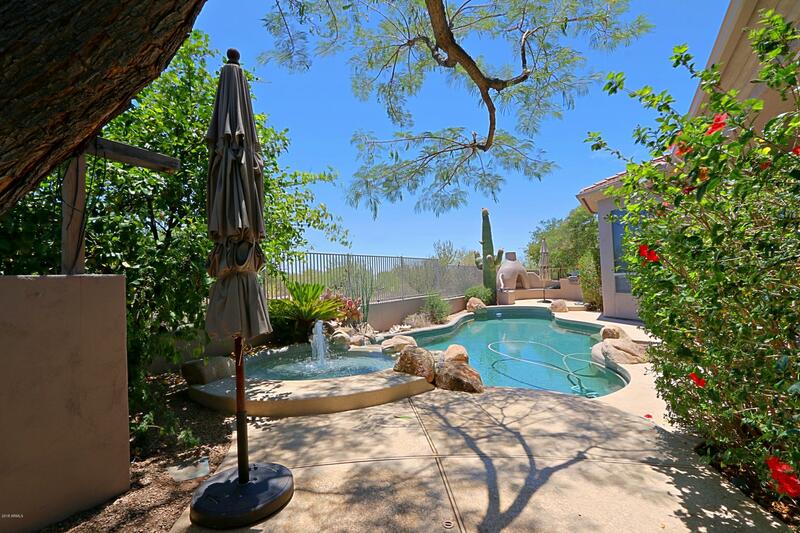 The backyard is an oasis with a heated pool and spa, built in BBQ and a kiva fireplace. 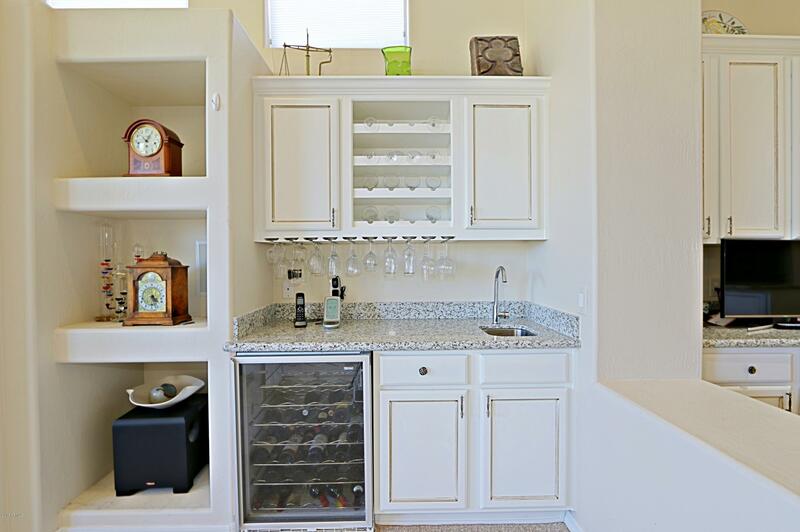 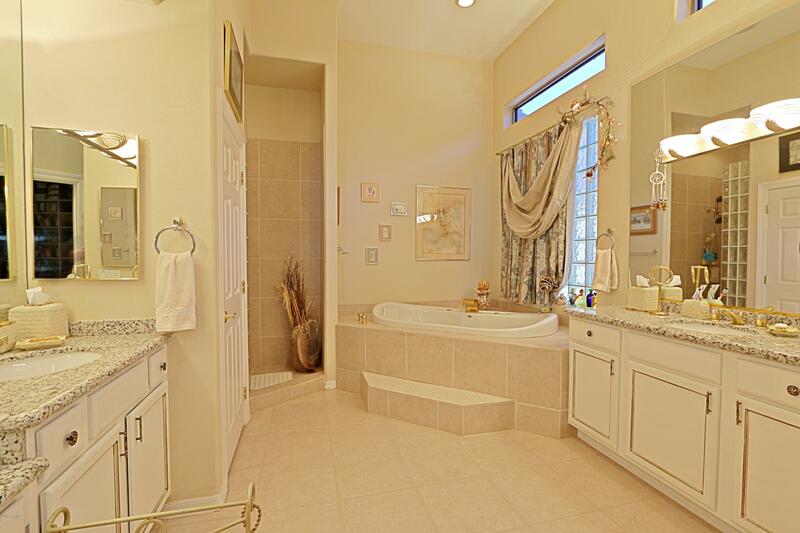 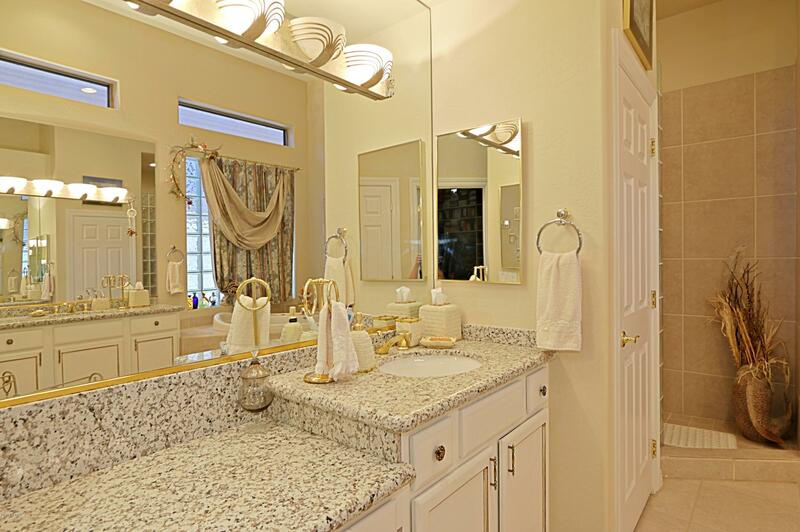 This home also features a 3 car garage! 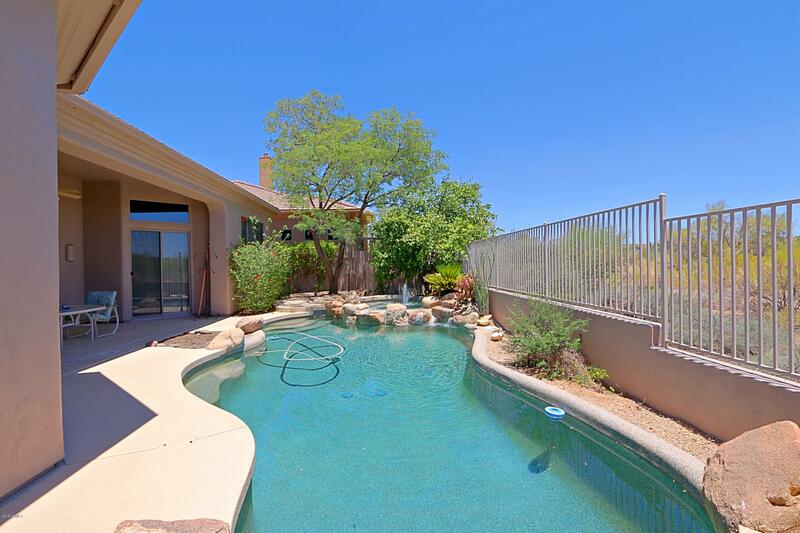 Cmty center has 2 pools, spa, workout and tennis!